The Supreme Court of Canada has agreed to hear an appeal from TELUS Communications Inc. (“TELUS”) in a class action that alleges that TELUS overcharged customers by rounding up calls to the next minute without disclosing that practice. In Wellman v TELUS Communications Company, TELUS is arguing that the proposed class is too broad, and that TELUS’ corporate or other customers who do not count as “consumers” under consumer protection legislation should have to arbitrate the issue due to arbitration clauses in their contracts with TELUS. 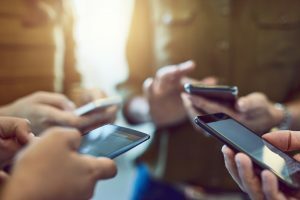 In the class action, the plaintiff claims that TELUS overcharged customers by rounding up calls to the next minute without disclosing that it was doing so. The proposed class consists of approximately two million subscribers, 70% of whom are consumers who purchased plans for personal use and 30% of whom are non-consumers who purchased plans for business use. The action claims $500 million in damages and $20 million in punitive damages. TELUS’ contracts contain standard terms and conditions, including a mandatory arbitration clause. TELUS allegedly failed to disclose that it was rounding call length up to the nearest minute. At the same time, in Ontario, consumers are entitled to bring contractual disputes in front of a court according to s. 7(2) of the Consumer Protection Act, 2002 (the “Consumer Protection Act”). Since the action was commenced, TELUS has argued that the claims of business customers, i.e. non-consumer claims, are governed by the mandatory arbitration clause and therefore should be stayed. For its position, it relies on s. 7(5) of the Arbitration Act, 1991 (the “Arbitration Act”), which provides for a partial stay of parts of a court proceeding if an arbitration agreement deals with those parts of the action and those parts of the action can reasonably be separated from the action. 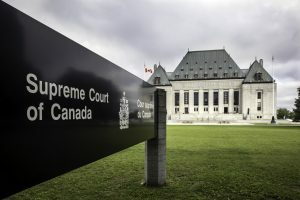 The motions judge refused to stay the non-consumer claims, relying on a previous Ontario Court of Appeal decision, Griffin v Dell Canada Inc (“Griffin”), for which the Supreme Court of Canada denied leave to appeal. In Griffin, a five-judge panel of the Ontario Court of Appeal dealt with the same issue in the context of Dell’s standard agreement. The court decided that non-consumer claims could not be reasonably separated from consumer claims and therefore had to be dealt with together in the court proceeding. TELUS appealed. At the Ontario Court of Appeal, TELUS argued that the Supreme Court of Canada’s decision in Seidel v TELUS Communications Inc (“Seidel”), overtook the decision in Griffin, and according to Seidel, a partial stay should have been granted. Seidel involved a class action where the contract between the proposed plaintiffs and the defendant contained a mandatory arbitration clause. A majority of the Supreme Court of Canada concluded that, based on the combined effect of certain provisions of the B.C. legislation (in particular, ss. 3 and 172 of the Business Practices and Consumer Protection Act), the proposed class action could include consumers but not non-consumer plaintiffs, and that those non-consumer claims would have to be arbitrated. The Ontario Court of Appeal held that Griffin is still applicable in Ontario. Griffin and Seidel are consistent in principle, but decided in different legislative contexts. Courts will generally give effect to arbitration clauses in contracts freely entered into by parties, even if the contracts are “contracts of adhesion”, that is, standard form contracts. However, parties’ freedom to arbitrate may be limited by legislation. In Seidel, the Supreme Court of Canada focused on determining legislative intent to decide which claims were required to proceed in court and which could be submitted to arbitration. In Ontario, the Consumer Protection Act expressly provides that arbitration clauses in consumer contracts are unenforceable. Further, for domestic arbitrations, s. 7(5) of the Arbitration Act provides that if an action has been commenced and an arbitration agreement covers some, but not all, claims advanced in the action, the court may grant a partial stay, but only where it is reasonable to separate the matters dealt with in the arbitration agreement from the other matters advanced in the action. In other words, proceedings should be bifurcated if it is reasonable to grant a partial stay. In B.C., the provisions are different. The consumer protection legislation provides for a civil cause of action in superior court, and prohibits parties from contracting out of statutory rights. The B.C. arbitration legislation has no equivalent to the discretionary provision in s. 7(5) of the Ontario Arbitration Act. According to the Ontario Court of Appeal, the difference in the result between Griffin and Seidel is based on the choices made by the Ontario legislature. TELUS attempted to argue that the right to arbitrate is a substantive right that is not affected by the procedural rights created by class proceeding legislation. The Court of Appeal rejected this argument. The characterization of class proceedings as procedural does not affect how the Consumer Protection Act and the Arbitration Act interact. In Ontario, it was the interaction of the Consumer Protection Act and the Arbitration Act which led to the conclusion that Griffin was still good law, and that the claims of consumers and non-consumers could continue together in front of a court. Because class action legislation was not relevant to determining whether part of the proceeding should be stayed, the court clarified that the decision on that point should not be conflated with determining whether a class proceeding would be the preferable procedure for a proposed class action. Although sometimes judges may consider the issue of a partial stay while deciding whether a class proceeding is the preferable procedure for a particular claim, the two analyses are distinct. At the Supreme Court of Canada, TELUS picked up on Blair J.A.’s concurring decision at the Court of Appeal. In his decision, Blair J.A. agreed with the majority in the result, but on a more restricted basis. According to him, Griffin is binding and dispositive. However, he raised a couple of reasons why Griffin may not have been correctly decided. First, Blair J.A. wondered whether litigants should be able to sidestep substantive and statutory impediments to proceeding in court by simply adding consumer claims to non-consumer claims and wrapping them up in the cloak of a class proceeding. This is something that TELUS brought up in its leave to appeal. TELUS is also arguing that the Ontario Court of Appeal’s decision leads to inconsistent results across the country. According to TELUS, the effect of Griffin is that, in Ontario, the enforceability of arbitration clauses will depend on the form of the action in which the claim is brought. This is TELUS’ last chance to win on this point. The Supreme Court of Canada may also address Blair J.A.’s other, more specific, criticism of Griffin. In his concurring reasons at the Court of Appeal, Blair J.A. noted that s. 7(5) of the Arbitration Act refers to “other matters” that may be allowed to continue in court (rather than being arbitrated), but it is unclear whether those “other matters” can be matters arising between different parties and containing arbitration clauses that are otherwise valid and enforceable. Perhaps “other matters” refers to matters arising between the same contracting parties but that are not covered by the arbitration agreement between those specific parties. It remains to be seen whether the Supreme Court of Canada will favour consistency across the country, or if it will prefer the approach of the Ontario Court of Appeal based on the specific intricacies of the Ontario legislation. The result will have an impact on many standard form contracts used in a variety of industries, and may lead to new strategic considerations in class actions.